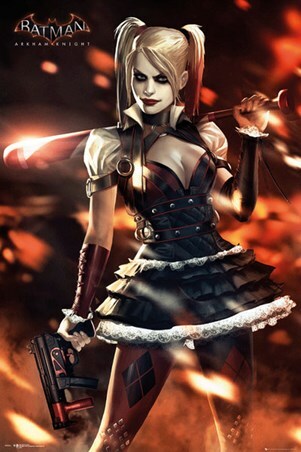 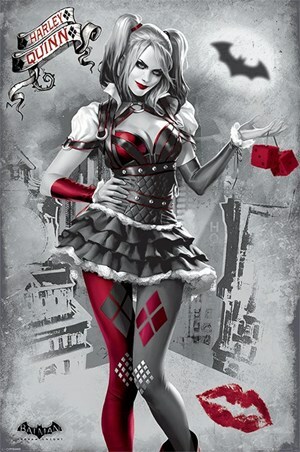 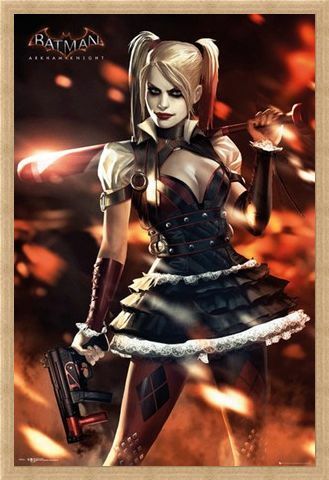 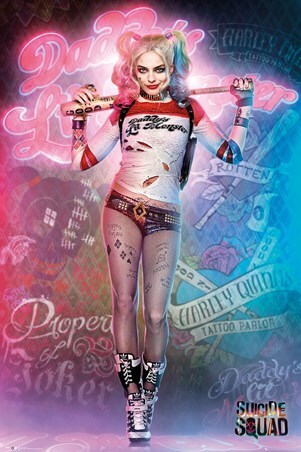 Fantasy Film Poster: The fictional super villainess Harley Quinn is shown striking a menacing pose in this Batman: Arkham Knight maxi poster. Taking her name from Harlequin due to her love of dressing up like the iconic joker Quinn looks ready to taunt The Caped Crusader and wreak havoc in the beleaguered Gotham City. High quality, framed Harley Quinn, Batman Arkham Knight poster with a bespoke frame by our custom framing service.